I've made it no secret that my daughter was born out of wedlock, when I was only 20 years old. I was painfully young, naive and obviously a bit of a tramp given the fact I'm pretty sure I conceived her in the back of her daddy's car. I was barely out of childhood myself and I was getting ready to bring up a child. To say I was consumed with fears and doubts would have been a wee understatement. I was petrified. I wasn't just scared about parenthood in general, or survival, or the fact I was poor white trash one penny away from being homeless at any second, I was terrified my child would be ugly. Because priorities? I had them. Having had the scabs of puberty barely fall off my soul when I found out I was gestating life myself, I carried puberty's worst fear around with me for my child. What if my baby was ugly? Every moment of my pregnancy I hoped for a healthy child, strength and wisdom to raise that child and please God, don't let my baby be ugly. Eventually, my daughter was born and well, she grew into her ears. She's a beautiful child to me because she is mine. I'm biologically forced to think that but I have been told by other people not bound by those chains that my kid is cute. I totally lucked out in the beautiful baby lottery. And by lucked out, I mean that my DNA rocks even if her father's mother thinks she looks nothing like me and is indeed a spitting image of her daddy and her entire paternal side of the family tree. Whatever. I made her. Fast forward thirteen months and a day later and I was once again back in the stirrups begging fate for a healthy child, the strength and wisdom to raise my kids and please God, don't let my baby be ugly. Frac came out even better looking than his sister and he never had to grow into his ears. It was a total win. Those early years of raising babies meant there was a whole lot of growing up being done under my roof. It wasn't just my children growing up, but myself as well. Three years later and I found myself pregnant again but this time I had a modicum of sense. The duration of that pregnancy was spent hoping for a healthy child and the energy to raise the brood I already had. I stopped hoping for a beautiful baby because I was fairly confident my child would be a good looking tyke given the fact his siblings had fared pretty well in that department. Then Bug was born. Broken, deformed and odd. He wasn't just invisibly handicapped, my child screamed handicapped as though someone had attached a neon sign to his forehead. Or at least that is how it felt at the time, hours after his shocking arrival and amidst the sea of hormones flooding my body immediately after giving birth to him. I never knew my third child was going to be born disabled. When I looked at his wee twisted body it occurred to me that I never really understood the meaning of beautiful. I had heard the expression 'beauty is in the eyes of the beholder' but it wasn't until I was a parent of a child the world would never find conventionally beautiful that I understood what that phrase truly meant. Shale laughing his arse off. 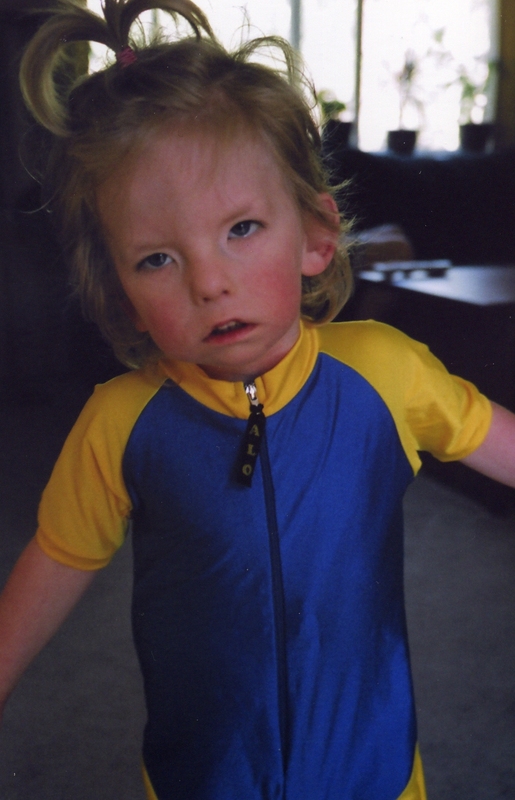 Shale was diagnosed with Moebius Syndrome when he was 8 days old. 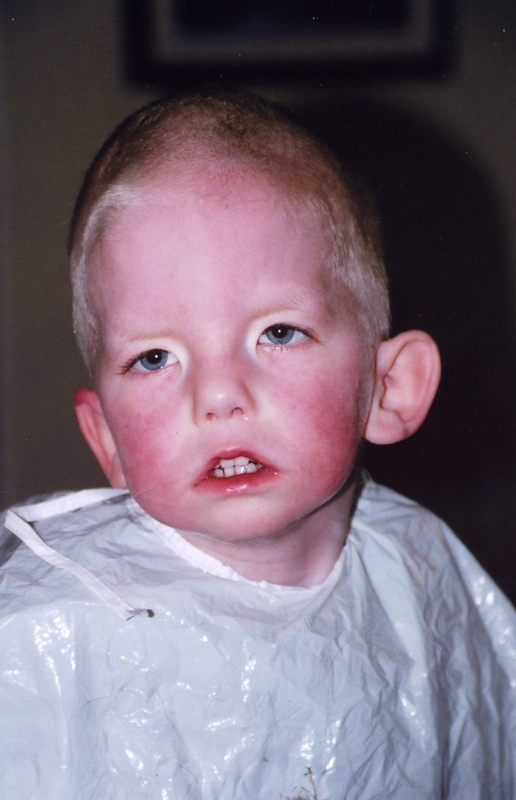 It took eight days for doctors to name his stone face and explain why my son never blinked, never smiled, never frowned. His face was smooth as glass and would always be that way. And that hurt. Because I was vain. Because I was scared. Because it wasn't until I had a child who couldn't smile or squint or grimace that I realized how much value we truly place on facial beauty. How much we communicate non-verbally just by reading other people's expressions. I had never felt more ugly in my life because I realized how completely immature I had been my entire existence. I had failed my child before he was even born and I've spent every day of my life ever since trying to make up for that fact. Raising Shale taught me many things but mostly it taught me what beauty really is. And how much society values it. I quickly learned how often my son would be overlooked simply because other people couldn't read his face and interpreted his facial cues as a lack of interest. How people would whisper about my child, perturbed by him yet unable to pinpoint why. My son was easy to ignore because he was hard to read. He walked with a living mask on his face and most people couldn't even see it. Shale crying his face off. Because his daddy dared cut his hair. 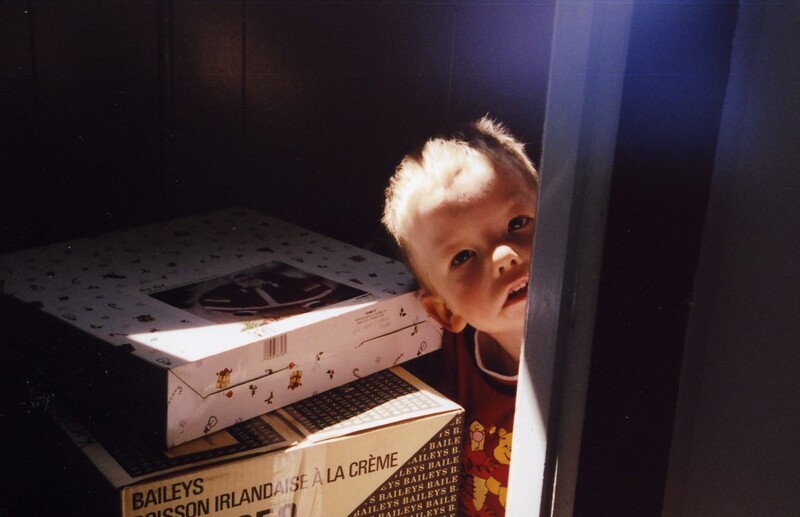 Shale never had the chance to grow up so I don't know how living with complete facial paralysis would have continued to impact him, or me or the people around him. I can only imagine how life would have treated his stony stare as he grew older. But his smile-less face is with me always. I carry around with me an awareness of beauty that I never held before he lived. I no longer take smiles for granted and every smile I give freely or receive is a reminder to me that there are people out there locked inside their faces unable to express their feelings by merely twitching a few muscles. There are people out there who look just like my son, united by paralysis and the understanding that beauty exists even where others can't see it. But I see it. I see them. I hope that all of you who read this will see it too. Today is National Awareness for Moebius Syndrome. So smile. I know I am, and I'm thinking of my beautiful angel faced kid who made the whole world a more beautiful place every time he didn't. Peekaboo. I see you. But will you see me?